Think three times before making a gift of real property! 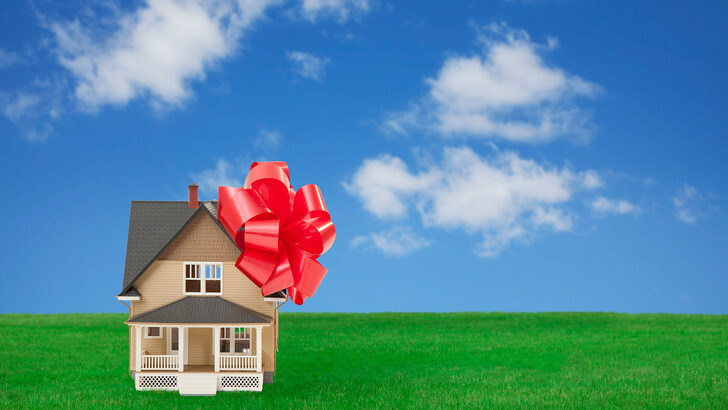 To avoid unintended tax consequences, the gifting and receiving parties should consider the interplay of several types of taxes that affect a gift of a real property interest. Specifically, the trifecta of taxes to be considered are: (i) estate and gift tax, (ii) income tax and (iii) property tax. Each U.S. citizen is entitled to a unified estate and gift tax exemption of $5,450,000 per individual. The unified estate and gift tax exemption means that an individual may transfer up to $5,450,000 of assets without incurring a 40% gift/estate tax. Additionally, each individual may gift up to $14,000 to another individual, within a calendar year, without using any of the unified estate and gift tax exemption. However, to the extent a gift exceeds $14,000 in value, the excess value will be treated as a taxable gift and must be reported on IRS Form 709. The value of the taxable gift is applied against the gifting taxpayer’s unified estate and gift tax credit. For example, if a taxpayer gifts a property valued at $1,000,000 to another individual, the taxpayer will have made a taxable gift of $1,000,000 less $14,000, which is $986,000. The gifting party’s lifetime unified estate and gift tax exemption of $5,450,000 will be reduced by the taxable portion of the gift ($986,000). Therefore, when making a gift of real property, the value of which is often in excess of $14,000, a taxpayer must consider to what extent such gift will reduce his or her unified gift and estate tax exemption. Another tax consideration relating to the gifting of real property is income tax – more specifically, the capital gains tax. Upon the sale of real property, a capital gains tax is imposed on the taxable profit of the sale, which is generally the difference between the net sales price and the cost basis for which the property was acquired. It follows that the greater the cost basis, the smaller the gain. In other words, an increased basis will reduce the difference between the sales price and the basis. Accordingly, a taxpayer has an interest in having a higher cost basis in order to reduce a possible capital gains tax. When a gift is made, the recipient of the gift receives the same cost basis that the gifting party had in the real property for the purpose of determining future capital gain. For example, if the gifting party acquired the gifted real property 30 years ago for $100,000, then the receiving party will carry forward that same cost basis of $100,000, regardless of the value of the property at the time the gift is made. However, the rules about basis are different on death. When an individual dies, the basis of the assets owned by that individual will adjust to fair market value as of the individual’s date of death (usually a step up in basis). For example, if an individual owned real property that was purchased 30 years ago for $100,000, then, for simplicity of this example, we will assume his basis is $100,000. If he still owns the property when he dies, and the property is worth $800,000 at the time of his death, his heirs will inherit the property with a basis of $800,000. Accordingly, if the heirs sell the property for fair market value at $800,000, and their basis is $800,000, they will not have to pay any capital gains tax. Had the taxpayer gifted this same property during his life, the heirs would not have enjoyed a step up in basis. Thus, if they sold the property for $800,000 and had a basis of $100,000, they would have to pay a capital gains tax on $700,000 (less allowable deductions). With respect to the capital gains tax, and without giving consideration to advanced estate planning techniques that consider discounting methods, it is often wise for an individual to arrange to “gift” real property at death, rather than while alive. Another tax consideration is property tax, which is calculated from the property tax assessed value. The higher the assessed value, the higher the property tax. Thus, unlike income tax considerations, where the capital gains tax is reduced by a higher cost basis, with property tax, the tax is reduced by having a lower assessed value. How do you keep the property tax assessed value low? There are only a few ways to make a gift of real property that results in the recipient keeping the same low property tax assessed value. First is a gift between spouses. Second is a gift between parents and children. Third is certain gifts between grandchildren and grandparents. There are limitations as to the nature and value of real property that qualifies for the exclusion from property tax reassessment, which will be the subject of a subsequent blog. If you are considering making a gift of real property to another individual, you should consult with an estate planning attorney and make sure all the tax consequences of your gift have been thoroughly considered prior to making your gift. To learn more about estate planning, please contact Tiffany A. Halimi, Esq. or one of our other estate and tax planning attorneys. Disclaimer: Certain examples and explanations provided herein have been grossly oversimplified for the purpose of explaining complex tax matters. You should always seek the advice of competent tax professionals to assess how these rules will affect your specific circumstance. Next Entry:Judgment Debtor Examinations – After the Judgment – What Happens Now?